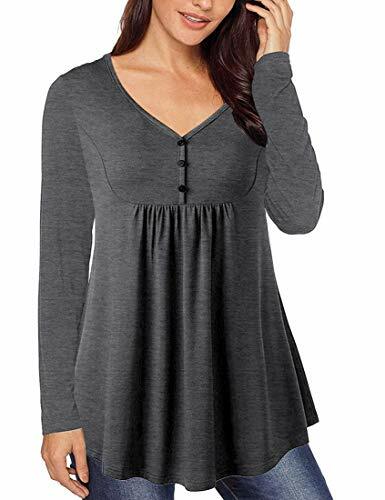 MIROL Womens Fall Long Sleeve V Neck Solid Color Casual Swing Flowy Tank Tops with Buttons by MIROL at Mas Fashion. Hurry! Limited time offer. Offer valid only while supplies last. DESIGN:A-line flared hemline,V neck,button decoration neckline,front pleated design.Five colors for choosing.